Italian Avvocato Marco Bianchi mainly focuses on international contracts, business internationalization, antitrust and corporate administrative liability. He works in English and Italian. Marco Bianchi was General Counsel of the Iveco group, where he worked for twenty-five years and, later, General Counsel of Fiat Group Purchasing. During his professional career Marco Bianchi negotiated contracts in many European and non-European countries, joint ventures and corporate acquisitions, as well as commercial agreements, such as distribution contracts in the EU and beyond, long-term O.E.M. supply agreements, research and development, co-design, distribution, licensing and technology transfer, and outsourcing agreements. 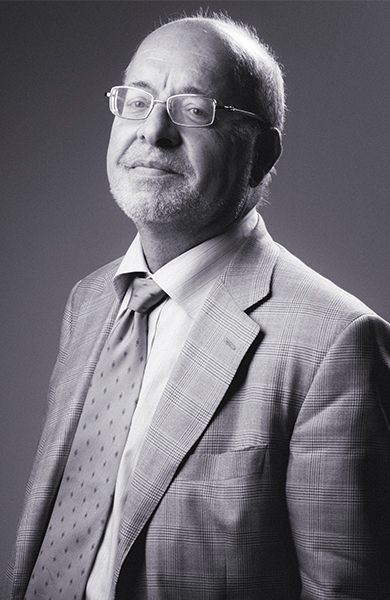 Marco Bianchi also gained significant experience in the field of corporate administrative responsibility and sustainability, first in the Fiat group (Iveco and FGP) and then in Brembo S.p.A., where he was first Chairman and, later, member of the Supervisory Committee from 2011 to 2017. Assisting an Italian service and consultancy company in drafting and negotiating a contract for the provision of customer relationship services in the EU with an automotive multinational company. Assisting an Italian metalworking and mechanical engineering company in drafting and negotiating a long-term supply agreement with a Dutch multinational company. Assisting a German multinational company in the management of corporate, commercial and corporate governance issues of its Italian subsidiaries. Assisting an Italian multinational company in drawing up contractual standards for its international activities. Author of several books and publications, published by Il Sole 24 Ore and Ipsoa in Italy dealing with practice in international and business contracts. He lectures on the practice of international trade in Italy and abroad. He writes about international contracts on his website "contrattiinternazionalidimarcobianchi.it", where he publishes articles on the provisions of international contracts, EU antitrust rules, new foreign rules and judgments and reviews of books, both Italian and foreign, dealing with international contracts. Since 2016 he has been lecturing on the Advanced Training in Techniques for drafting corporate contracts at the Università degli Studi di Milano. From 2012 to 2016 he coordinated and was a faculty member of the "Business & Legal English" Master course organized by Il Sole 24 Ore. Since 2012 he has been coordinating and participating as a faculty member in the course on contracts in international trade organized by Euroconference S.p.A. Since 2011 he has been lecturing at the National Postgraduate School for Corporate Lawyers organized by Just Legal Services and AIGI (Associazione Italiana Giuristi d’Impresa). Examination for admittance as an Italian Avvocato (Court of Appeal of Milan, 1984). Università degli Studi di Milano (1981).